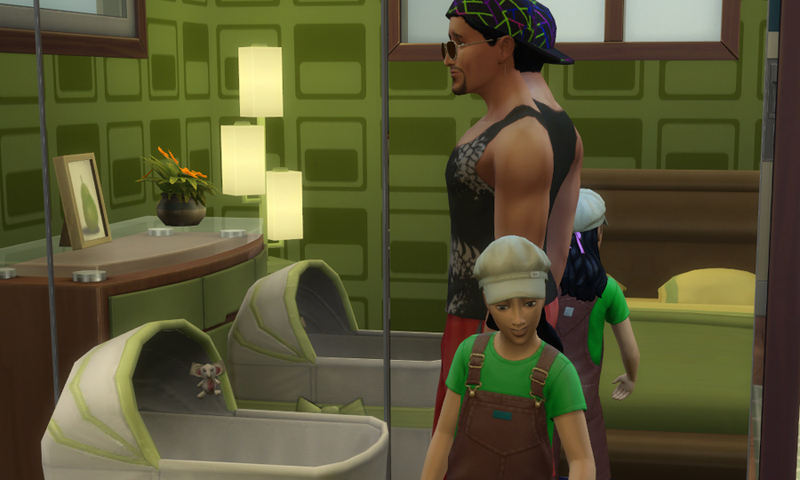 When we last left Don Lothario, he just had a kid with his alien girlfriend, Anyala Nirtam. The little girls name is Rinai Lothario. Don’s house didn’t have space for a bassinet, so I aged her up quickly! “So… you really think it’s a good idea to meet here? Where anyone can see us?”, Valerie asked Ethan. If Jenny found out they were meeting behind her back she would not be happy. Ethan shrugged. “The more out in the open you are the less people think you have something to hide”, he said. Valerie wasn’t so sure. “Let’s take a walk”, Ethan replied and gestured towards a more quiet part of the park. Valerie rolled her eyes but followed. 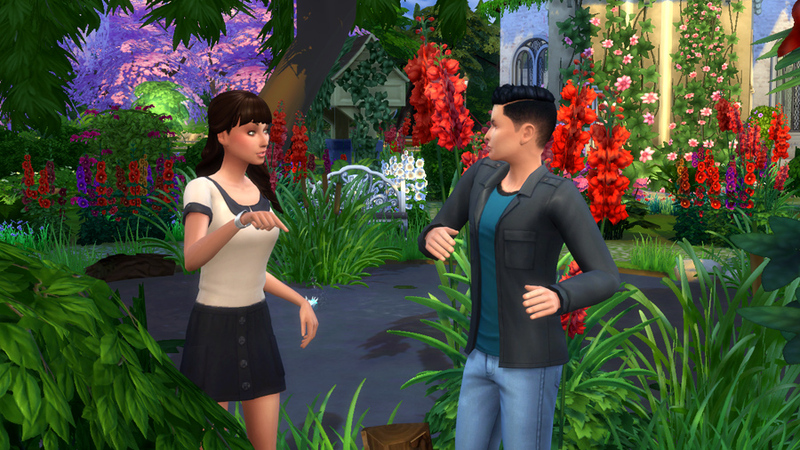 They walked in silence for a while and Valerie couldn’t help but notice that the park of Willow Creek was a beautiful setting. If only their business here wasn’t so ugly, she might actually enjoy it – and given she were here with someone else and not Jenny’s sloop of a boyfriend. Ethan said nothing but his silence was more than enough confirmation. 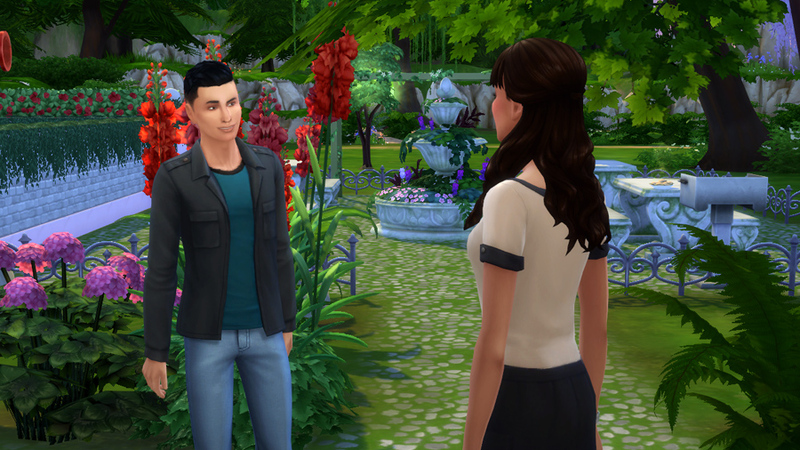 The smirk on his face made Valerie even more mad. Ethan frowned. “You have no idea what you’re talking about”, he hissed through clenched teeth. Valerie was confused. What did that mean? But before she could ask he went on. “I can’t break up with Jenny. I need her. I need her dad that is. He works at my dream college. They won’t accept me without his help”, he confessed. “You’re disgusting”, Valerie said automatically but her insides were squirming. She would do anything to get accepted at her dream college but it was impossible. If there would be any chance to still get in, would she do the same? No, she told herself, I’m not like that. There are other ways. Other schools. She shook her head, shocked that she would even consider the possibility of Ethan’s actions being acceptable. Valerie took a step backwards feeling repulsed by Ethan’s suggestion. I can’t believe I just said that. Valerie was appalled at her own implication. Would she accept Ethan’s offer if he was able to place her at Havencrest? It doesn’t matter. He can’t do it. Valerie sighed, “Havencrest University. But that’s impossible. I’m going to tell Jenny about this tomorrow”, she turned around to leave but Ethan grabbed her arm again. Valerie yanked herself free of his grip and glared at him. What if it was?! “Tell me about it”, he urged. She didn’t want to continue this conversation. But the whole ordeal about Havencrest had been in her mind for months. And what if he could do something about it. Suddenly she found herself pouring her heart out and telling Ethan everything. 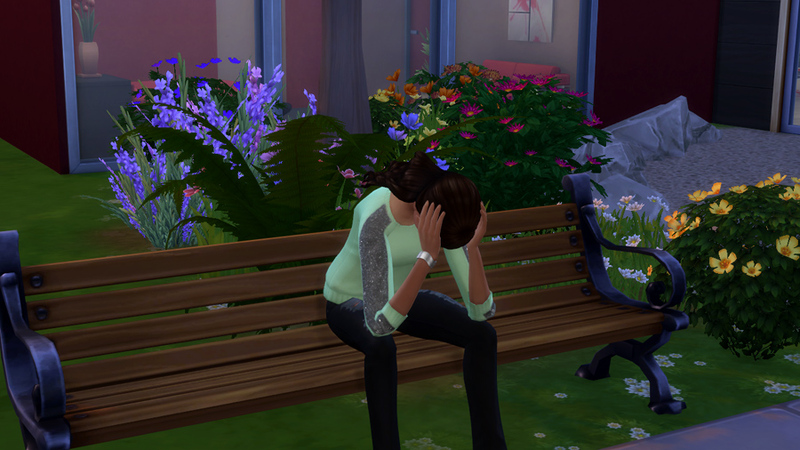 Brooding over the events of the party, Valerie sat down on the bench in front of her house. She hadn’t seen Jenny in two days which she was glad for. She didn’t know how to handle the situation. 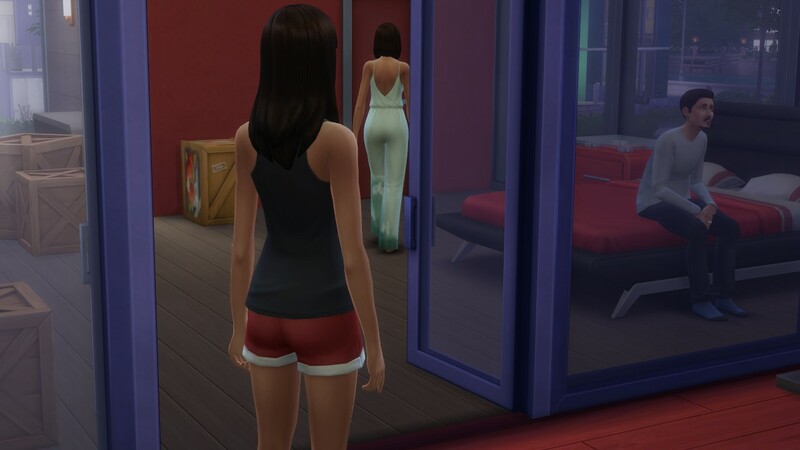 Valerie stood in the door frame, dumbfounded and unable to move. Fortunately, the two lovers were too wrapped in their… business to notice her at all. After a few seconds, her mind snapped out of its stasis and she quietly closed the door. She felt shock and betrayal, just like in her dream last night. Jenny might have changed over the years but the two of them had been best friends before. She didn’t deserve to be treated like this. Anger at Ethan welled up inside Valerie. Jenny had looked at him so lovingly and here he was, disregarding her feelings like they meant nothing to him. And maybe they didn’t. Even though her head was filled with confusion and anger, a small part of her mind reminded her of the scary resemblance to her dream. How was this possible? Valerie shook her head. She couldn’t deal with this now, she had to get out, clear her head. She wasn’t ready to think about what the dream had meant. She wasn’t ready to decide whether to tell Jenny or not. A thousand scenarios of Jenny’s reaction raced through her mind. Would she believe her? Would she blame her? Would this destroy their new-found, fragile friendship? Valerie couldn’t bare the thought of having to see Jenny’s face when her life was being turned upside down and she was the one to do it. Valerie practically raced down the steps – and ran right into Jenny’s arms. “There you are! There’s someone here I wanted to you to meet, I think you might get along well”, Jenny winked at her but Valerie was too stressed out to notice. “Sorry, Jen, I… I’m not feeling so good. I have to go”, she avoided Jenny’s questioning gaze and left her standing. Cheating might not be illegal, but she still felt like she was fleeing a crime scene. This night had been a lot more than she had bargained for. Valerie didn’t bother bringing a jacket, since the party was next door. As she approached the house, she thought of the old days. This wasn’t the same house as Jenny’s family used to live in. The old one was much smaller and in a different neighborhood. It looked like the Crawfords were a lot better off in terms of money now. 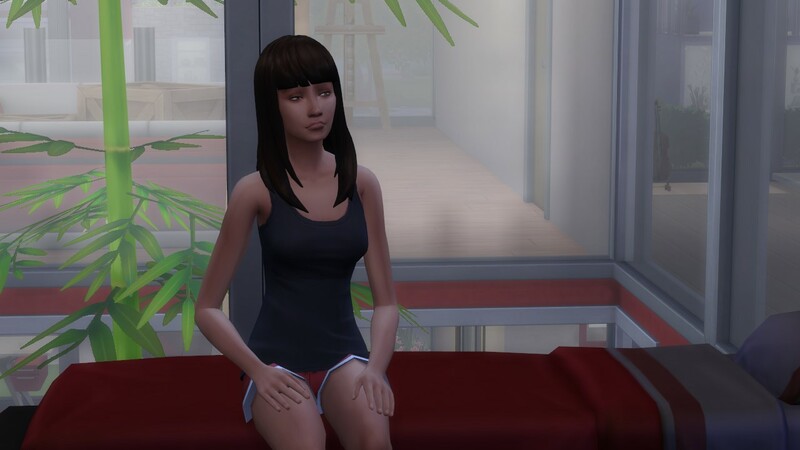 She approached the modern home in a short black dress, which she had bought back in Windenburg. Aimee had practically forced her to go dress shopping. “Glance & Hitburg has these amazing dresses, Valerie, you neeeeed to see them. I bet we’ll find the perfect one for you!”, she had enthused. “There will come the day you will be grateful for this dress, believe me. Besides, shopping doesn’t seem to bother you when you spend 60 hours a day at the bookstore”, Aimee had grinned. “That’s different”, Valerie had mumbled, knowing well that she had already lost this battle. Once Aimee was onto something it would take an apocalypse to get her to give up. The two of them had gone to Glance & Hitburg and strangely enough they had found the perfect dress. Even Valerie had loved it. Turns out it wasn’t that bad of an investment after all, she mused while she rang the doorbell. Through a window next to the door, Valerie saw that there were already many guests present. To be fair, she was late; she had been reading Lord of the Flings and the book had engulfed her so much that she had forgotten about the time. Jenny opened the door, beaming at her. She was practically bouncing with excitement. “Hey, Jen. You look nice too. I’m so happy we can finally catch up. Make things right”, Valerie replied but Jenny ignored her comment. “This is going to be the best party of the whole summer break!”, she enthused. Valerie looked around. There were about 30 people there, all teens their age. Who was this girl and what had she done to Jenny Crawford? The Jenny she remembered had been scared to ask someone for a pen, yet alone invite them to a party. On the other hand, the Jenny she remembered had weighed about 80 pounds more. They had both been so different five years ago. So much had changed, there was a lot to talk about. She was looking forward to clearing the air with her former best friend, but Jenny seemed to have decided that it wasn’t necessary. Valerie wasn’t sure if that was a good thing. Jenny had grabbed Valerie’s hand and led her through the crowd. “There’s someone I’d like you to meet”, she said, her tone being giddy with anticipation. They approached a group of boys, one of them laughing loudly. It seemed like one had just finished telling an only mildly funny joke. The comedy star looked over to them and Jenny waved slightly as walked over. The guy smiled back at her. His hair was black and untidily gelled to the side. His tight, white shirt looked like it was supposed to be worn by someone more trained. He was slim, yet lanky and pale as if he spent more time in- than outdoors. Still, Valerie had to admit that was handsome in his own way. A smile spread across Jenny’s face as she said the last words. The look on her face said it all. She might as well have hearts as eyes. 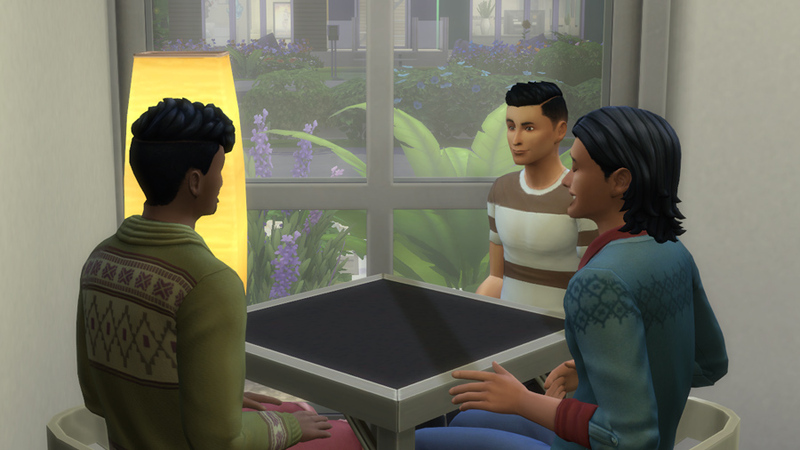 The other two boys at the table grinned at each other knowingly, but didn’t interrupt. “Nice to meet you, Ethan”, Valerie said politely as she bent over the table to shake his hand. “You, too”, he replied. His voice was warm, but slightly brash underneath. Valerie wasn’t sure if she liked him. Valerie’s face fell. Don’t remind me, she thought wishing for a new conversation topic. But Jenny was also looking at her curiously. “Psychology? Sounds like you should consider Havencrest. It has the best psychology classes, everyone knows that”, Ethan said in a way that it sounded both dismissive and encouraging. Valerie’s insides squirmed. She really didn’t want to talk about Havencrest. “Yeah, I know, I … I’m just considering other options as well, that’s all”, she said vaguely, “What do you two want to do?”, she asked in an attempt to steer the topic out of difficult waters. Ethan nodded but stayed silent, with a slight smile on his lips. Jenny grabbed Valerie’s arm again, “Enough chit chat, it’s time for you to meet everyone.” She gave Ethan a kiss on the cheek, then pulled Valerie away. “Jenny, are you friends with all of these people?”, Valerie asked wonderingly. Thankfully, Jenny didn’t take offense from the question. Jenny led Valerie around the room introducing her to so many different people that Valerie could never hope to remember their names. This didn’t feel like catching up at all. After a particularly boring conversation with a guy who only talked about his father’s business, Valerie decided it was time for a break. Jenny snapped out of the conversation she was listening to intently. “Sure, it’s right over – oh”, she stopped after they saw a kissing couple fall into what seemed to be the bathroom, “Well, that one’s out then. The bathroom in the kitchen is broken, but you can go upstairs, through the bedroom”, Jenny explained quickly and turned her attention back to the business guy. Valerie didn’t want to ask again though she had no idea which upstairs room was the bedroom she was supposed to go through. I’ll find it anyway, she said to herself and made her way up the stairs. Suddenly she was standing at the top of a staircase with a strong sense of Deja Vu. She stood electrified as the memory of the dream came back to her. Slowly she turned and sure enough there was the door. By this point, she had forgotten about the bathroom completely. Finally, she would find out what she had seen behind that door. Wait a second, it was just a dream. It’s not going to be the same. But the scene was so similar it was scary. Valerie shivered. Well, she could still check the door anyway. What could happen? But even though her rational mind tried to deny it, she had a feeling the dream would repeat itself. And she didn’t really want to repeat the way she felt after waking up this morning. Shocked and shaken. Without having realised it, she had taken a few steps towards the door and was now standing right in front of it. I shouldn’t be here. She heard hushed voices and quiet laughter behind the door. Who was inside? What room was this? What did that damn dream mean? Valerie told herself that she’d think about it for ages if she didn’t find out what was behind that door. Breathing in deeply she grabbed the handle and slowly pushed it open. She couldn’t believe her eyes. True to the dream, what she saw shocked her. A lot. Suddenly she was standing at the stop of a staircase with no memory of how she got there. The hallway wasn’t familiar to her. She looked around nervously and saw three doors. The door right across the hall drew her in especially. 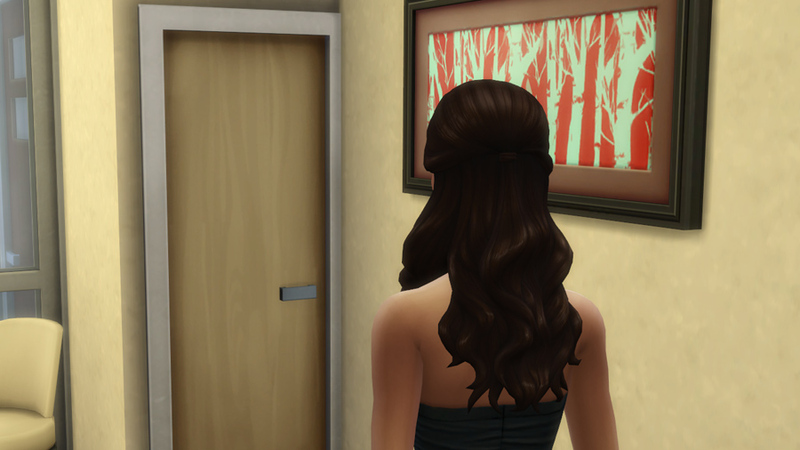 She didn’t even know why but there was something behind that door she needed to see. Slowly, she stepped towards it. With every step the door seemed more tempting and only waited for her to open it. She sensed a discovery. Something important. She was almost there now, right in front of the door. She already had her hand stretched out towards the handle. The feeling of excitement was strong now. But should she reconsider? Was this a good idea? Suddenly, she felt like doing something wrong. She wasn’t supposed to be here. But she had to know. Her hand lingered on the door handle. OPEN IT, a voice inside her head yelled at her. NO. GO AWAY, screamed another. Which was it? Yes, no, yes, no. Without remembering the conscious decision to do so, she opened the door. Valerie didn’t listen. Her heart was still pounding with the remembrance of her dream. A tingling sense of shock remained. Good question. What happened? She remembered a door and wanting to open it. She remembered that she indeed did open it. And afterwards she didn’t remember anything. Only the feeling. She was sure she had seen something shocking. But what? “Valerie Amelie Bouchard, will you answer me now?”, her mother demanded and brought Valerie back into the present. She realized that she was standing on her and her parents shared balcony. Suddenly, she felt the cold and began to shiver, wearing only a thin pyjama. It was the only logical explanation. She didn’t want to tell her mother about the dream to not worry her. It was just a dream, nothing more. It means nothing. “Well then, go back to bed. And lock the balcony door! You could have fallen over the handrail!”, Suzanne Bouchard shook her head and went back inside. 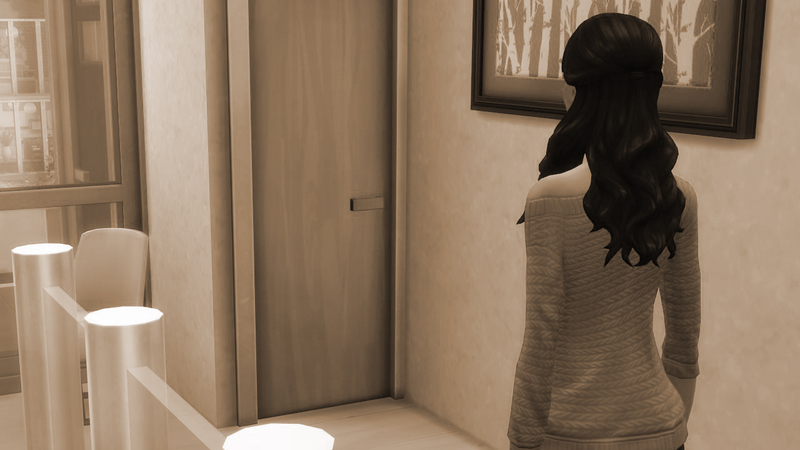 Valerie could see the worried face of her father in their room as she retreated back into hers. As her mother had ordered, she locked the balcony door and sat down on her bed. The dream still resonated within her. The sense of shock and betrayal felt so real, she couldn’t yet shake it off. Don’t be stupid, it was just a dream, she told herself as she crawled back underneath the covers. But that night, Valerie couldn’t find any more sleep. “Yeah, I have. Got rid of all that baby fat, didn’t I? Though, with the hair, I didn’t recognize you either”, Jenny said and an awkward silence ensued. “I can’t believe you’re back!”, she suddenly burst out and wrapped her arms around Valerie. She smiled broadly as she let go and looked at Valerie expectantly. Jenny’s shoulders slumped slightly and she sighed. “Jenny, you’re doing it again”, Valerie grinned. There was a second of silence where they both just stared at each other. Then they both burst out laughing. “Just like old times”, Jenny exclaimed and Valerie nodded. Jenny’s smile faltered. Valerie huffed realizing she had completely ruined the happy mood they had been in. “You’ve been gone for 5 years, Val”, Jenny simply stated and Valerie knew that tone. Things were about to get ugly. Valerie’s cautious words didn’t work. Suddenly, Jenny just started spilling everything. “You could have called! You could have kept in touch! Wrote a letter, anything. Someday, I come to your house and you’re just… UGH”, she yelled and stomped her foot. Jenny wiped her eyes on her sleeve, then nodded. “Yeah, I’m still coming, catching up is much needed. Who are some people?”, Valerie raised an eyebrow. “You’ll see”, Jenny said mysteriously, the smile back on her face.